One of the “new” and big things on Pinterest are collage pins or what some people call “long pins.” They are usually made up of a few of the images from your blog post along with the title of the post added somewhere. I remember when I first started seeing these long collage pins a few years ago. They were sweet to see but most of the time they were a pin done by someone other than the original blogger in an attempt to add a “step-by-step how-to” and drive traffic to their blog using other people’s images. No bueno. Fortunately, bloggers and pinners became aware of this and the massive amount of re-pins they were getting (whether linking to the original source or not) and began making their own long collage pins. 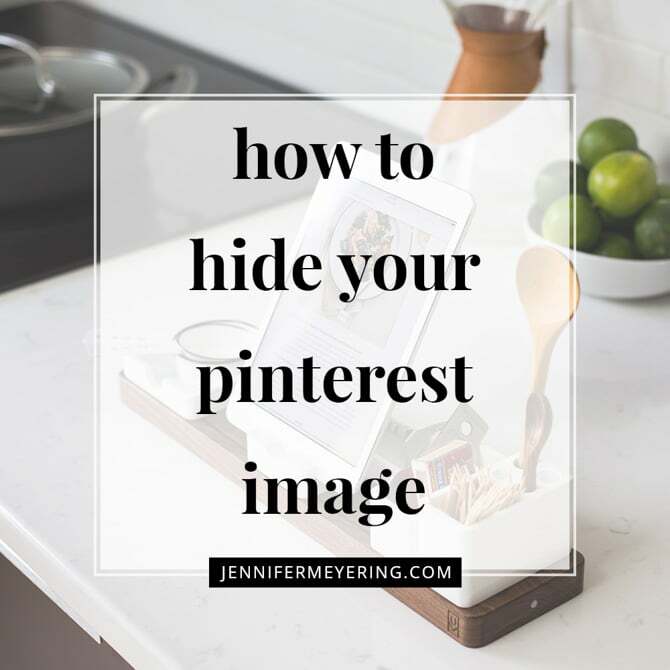 Related Post: How to Set Up Pinterest Rich Pins so people know your image is actually linking to your own blog and it’s not someone trying to scrape your content. I’ve noticed that many people usually just upload the long pin directly to Pinterest and then add the source link accordingly. However, I don’t just want the image on Pinterest, I want people who visit my blog to be able to pin them as well when using any of the share buttons or their own browser Pin It button. This leaves for a problem because the long pins are usually 2000px or more in length which then takes up a huge amount of space in the blog post that doesn’t necessarily add to your reading experience. It can also appear like there’s too much content and long pins force the reader to scroll further down in order to reach the other things they want, like sharing buttons, comment forms, related posts, etc. We hide them! With a little CSS coding. 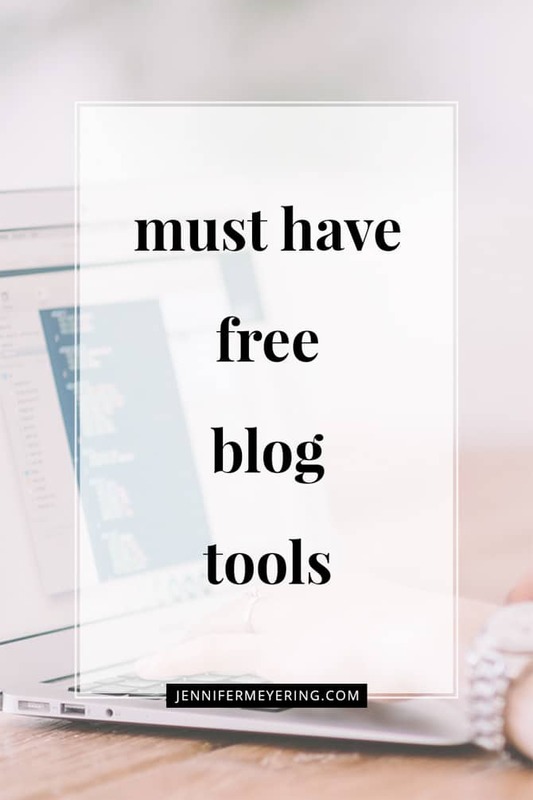 Don’t worry… it’s super easy and takes .2 second to set up and then you can sit back and add all the long pins you want without them showing up in your blog posts (unless you want them to!). Open up your theme’s style.css… navigate to Appearance >> Editor and then click on style.css… and add the code below to the very bottom of the style sheet and save. If you have a seperate custom CSS stylesheet that you use, add this there instead so it won’t be overridden when you update your theme. Make your collage using Photoshop, PicMonkey, or your favorite photo editing tool. 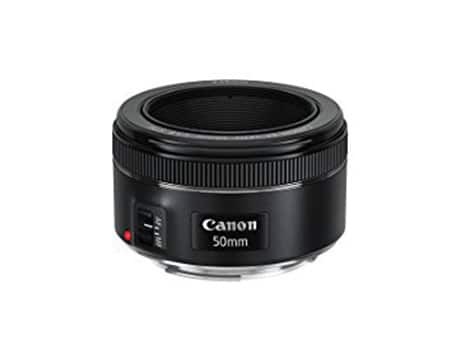 Make sure that when you make the image it is at least 600px wide and about 2000px tall. The collages I make are usually 665px by 2250px, which is enough room for 2 4×6 images and some text about the post right in the center. Also, even if you don’t want to create a long collage pin you can still hide any image that you would like people to pin with this technique. Upload your image just as you would when creating a new blog post. When crafting your post, make sure that you add your long pin (or the image you want people to pin) to the bottom because that image will then appear first when people click their Pin It button. Add the HTML class “hidden-pinterest” to the image you want to hide by clicking on the image in the post editor and clicking on the little pencil icon. Then click on advanced options and you’ll see a place for the Image CSS class. Add your custom class “hidden-pinterest” there without the quotations. You can also accomplish this by clicking on the “Text” tab in your post editor and adding the CSS manually to your <img> tag. Now to update any images you want to, all you have to do is add the custom class to the <img> tag and the image will be hidden from regular view. There is no need to re-add the CSS unless you update your theme or the CSS is over-ridden somehow. Want to see it in action? Go ahead and click the Pinterest button below and you’ll see my hidden image appear first! Related Post: create a GIF in Photoshop with your images for your readers to pin! If you have any questions, leave them in the comments below and I’ll be happy to answer them! 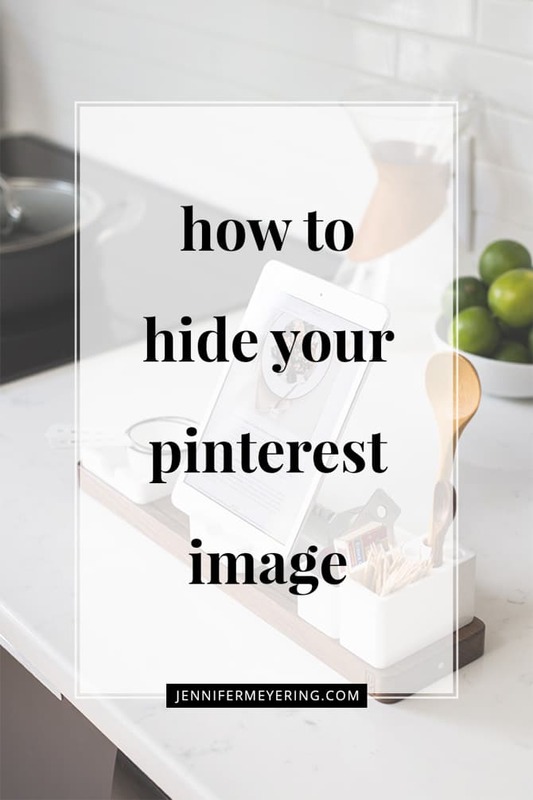 I hope this post helped you with creating your hidden Pinterest image. If it did, please share using any of the share buttons below and be sure to check out my other tips and tricks in the box below or by clicking the resources tab at the top of the page! PS: Want people to see the images in your RSS feed when it goes to subscribers on your email list? Check out this post on how to add images to your RSS feeds! This post is part of a WordPress How-Tos series. Check out all the series posts below! This is brilliant and sounds pretty simple. I can’t wait to give it a try. I only recently started adding texts to photos with Picmonkey. I have been adding these new images at the bottom of my posts, but hidden would be so much better. Thanks for discovering and it for sharing it with the rest of us. No problem, Rhonda! Let me know how it works for you! You’re so welcome, Kola! I’m glad that you found it helpful! I know about the Google SEO thing but I’m not sure if this applies. I do believe that Google penalized sites that had a *lot* of hidden text, so I’m sure that just one image per post is fine. Though, you’re right that I have not seen very much information or research on this. I took a look at your code and it doesn’t seem that you added the custom CSS (in the grey box in step 1) to your custom CSS style sheet. That is the part that hides the image so that people cannot see it. Without that, you will still be able to see the image. That’s funny, because it was in there. I now moved up the code a little bit and it seems to work now! Thank you for this post. It works a treat and your example pins are now my inspiration. My pins are a long way from when I started. What program do you make yours in? You’re welcome, Jane! Glad it helped you. I use photoshop for everything! Yay! Glad it worked well for you. Hi there! This is an excellent post, but for some reason it’s not working for me! I have tried putting the css code at the bottom and the top of my style.css file. I also don’t have an option within my post to add an html class. I have img class and css class. I put the “hidden-pinterest” with quotes in the img class. And I put the “hidden-pinterest” without quotes in the css class. IT should say in the image box “Image CSS Class” and that is where you add the CSS attribute “hidden-pinterest” without the quotes. Let me know if that doesn’t work and send me a link where I can see an example. I’ll update the post to make it a little more clear! Hey Marissa! It looks like you didn’t add the code properly to your CSS file. Did you make sure to include the dot (.) before the word hidden-pinterest in your CSS file? Also make sure that your not adding it before or after anything that looks like this — /*name of css file*/ — because then it will be escaped from the CSS and not actually used. Thanks for your quick response! I do have the dot before hidden-pinterest in the CSS. I was adding it to my CSS file, but also tried adding it directly to my style.css file…it still doesn’t seem to be working for me. Do you think my theme could be overriding the code somehow?? I will keep experimenting! 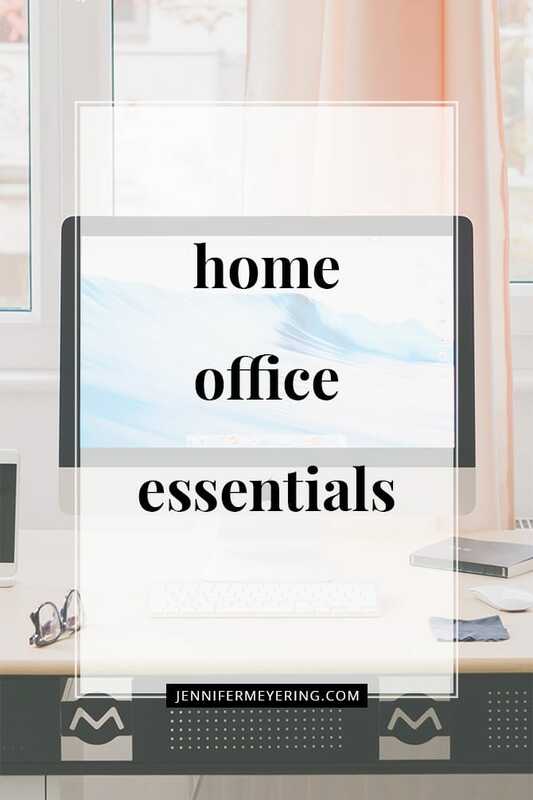 Even though I haven’t figured out how to get it to work for me, I will be Pinning and Stumbling this page so others can benefit because I think it’s a really great tip! Thanks for the quick response! I finally got it to work! I had a description above the code in the CSS which was preventing it from working. Hey Jennifer, thank you so much for this post! Unfortunately, it doesn’t seem to be working with me – I think my theme has some general problem with pinning! I’ve added the code at the bottom of my style.css sheet. I’ve changed the class of an image to hidden-pinterest, but it still shows up in the post! What can I do – I am super frustrated as nothing seems to be working with hiding images. This is a great coding hack! Thanks for sharing. I used to do it a really complicated way but this make my life so much easier. So glad it worked for you, Kumba! Thank you! thank you! thank you! I wasted 12 hours this weekend trying to get this to work with other methods. Your solution worked like a dream! Awesome! I’m so glad it worked for you! I have tried other options and they didn’t work, I tried yours and it didn’t work either. I’m puzzled beyond believe! Is there something wrong with my theme or what. Here is the link of the blog where I’m trying to practice hiding the collage. I visited your site and do not see a collage on that page. I took a look at your CSS and it looks like everything is working fine. Thanks Jennifer!!! Even when I’m not login into wordpress I see the collage no matter what, when somebody else goes to the site is not there. I think that is what matters anyways! Thanks so much!!! Oh, my goodness! That is so much easier than the way I used to do it! Thank you so much for this great tutorial. No more searching for the code every time I need to do this. Thank you, thank you! Awesome, Heidi! So glad this worked for you!